A fear of flying is also known as a flying phobia (aerophobia, aviophobia, aviophobia and pteromerhanophobia). It is a fairly common and irrational fear characterised by an intense dread experienced during some part of your flight. A fear of flying often includes some anticipatory anxiety; moderate anxiety symptoms can accumulate weeks before the day of the flight. If you are committed to your flight, the continued anxiety can disrupt your sleep patterns, concentration and attention levels. Should you fly without help, the anxiety attack on the plane can be embarrassing and humiliating; your self-confidence and self-esteem can be severely dented. You then have to recover to participate in your onward journey (e.g. a work meeting) and then contemplate another trauma with your return flight. When armed with only your fear, the severity of your condition worsens with each new flight. As the new experiences accumulate, the anxiety symptoms can attach to other new fears stifling your general lifestyle. ‘Not’ flying can still impact on your life too. Most fears and phobias involve some degree of avoidance behaviour. It is a common way of coping (albeit unsuccessfully) with your fearful condition. You may be the fearful flyer who readily admits that you have a fear of flying and will do all you can to prevent your own traumatic experience. But some of you are too embarrassed or ashamed to admit your condition however. You pretend that it doesn’t exist and find ways to ‘dodge’ flying with irrational excuses, often to the dismay of people (family) around you. But avoidance can have its long term consequences. A fear a flying can impact on your professional career as well. If you can delegate to your subordinate staff and justify it as “part of their development”, it can delay you having to ever deal with the inevitable. But avoidance just makes the fear worse in your mind. When you are required to meet clients abroad and can’t avoid it, the recurring unexplainable last minute “illness” can cost you your job. A fear of flying can also affect your personal life. It prevents you from regularly seeing wider family or friends in another country. It can spoil your own family life, depriving members of your family of a summer holiday abroad. Long-term consequences can also be transferred to other people. Children can “learn” beliefs from authority figures like their parents. As a parent, your biased reactions may end up “teaching” your children your fears without realising it. To counter any feeling of guilt, you may try to avoid flying with them to prevent them “catching” a fear of flying from you. Fear of flying Cardiff: What causes a fear of flying? Fears and phobias can have a genetic cause. This means that you have a predisposition to be anxious. You are more likely to develop irrational fears because it “runs in the family”. With a genetic cause, fears and phobias are thus considered as psychological states “waiting to happen”. It can take a relatively moderate psychological trauma to set up your fear of flying. Outside of genetics, you may have learnt your fear of flying through directly associated experiences. This means that you were previously involved in a “terrifying” flight (or flights) and now connect your fear response (also known as your survival instinct or ‘fight of flight!’ response) with flying in a plane. The mere thought of flying again in the future triggers a release of adrenaline to ward you away from more danger. Being in a situation where you are “forced” to fly can create an anxiety attack. These situations only serve to escalate your fear of flying. Vicarious learning is the term used to describe when you learn anxiety through the experiences of others. As mentioned above, as a young child, you will have “modelled” some of your beliefs and behaviour on your authority figures, usually your parents. Seeing them panic convinces you that “if they are scared of it, then it must be dangerous!” Other significant people such as wider family and friends can also transfer this fear. Teenage hood is a notable period when you live through the experiences of your friends. Although you can learn your fear of flying through significant people, other sources can also be important. Witnessing a traumatic event or seeing strangers having a panic attack “in the flesh” is enough to initiate your fear of that situation. Even seeing something in the media or being told about a traumatic event can “sow seeds” of fearful beliefs. Some of you can relate to how easy it is to be “drawn in” to a real account of something e.g. a documentary, as if you are living the experience when it is being televised. Some fears are unconsciously learnt and can appear to be triggered spontaneously. This is because you haven’t identified the “cause”. Consider a situation when, as sufferer of moderate claustrophobia, you have to sit in the back seat of a two door car. You are anxious throughout the journey. Half way through the journey, the driver makes a sharp swerve away from a potential collision. Understandably, all the passengers are distressed having just avoided a nasty accident. Your anxiety response is more acute because during those few moments of extreme motion, your “escape” was blocked by the front passengers of the two door car. You don’t know it yet, but you have now unconsciously “fused” claustrophobia and extreme motion with a panic attack. The next time you fly, you go through moderate anxiety again because you have claustrophobia. Suddenly, you experience some turbulence and you start to panic. You haven’t consciously made the connection with the car incident yet. There is more turbulence and you continue to suffer more panic attacks. You are anxious and confused because these panic attacks seem to be happening spontaneously. Sometime after the flight, you discuss your panic attacks with a trusted friend. Then it clicks! You realise the association between the car journey, your panic attacks and the turbulence. Your fear of flying is now “actualised”. Turbulence is another trigger for your panic. You are afraid to fly again, in case turbulence causes you the distress of panic attacks. In the above example of unconscious learning, the fear of flying has been caused by other indirect situations. This is the case with most of my hypnotherapy patients. These indirect fears have accumulated and “leaked” into flying over time. But this is a common development of unresolved fears – they “trap” more objects and situations until you become housebound (agoraphobic). If you are unable to identify what other situations lie behind your fear of flying, your panic will continue to be spontaneous and uncontrollable. So what other fears and situations can contribute to a fear of flying? The list below contains situations, fears and personality traits that are directly and indirectly related to a fear of flying. • Fear of Turbulence – Turbulence is a common occurrence and is usually caused by changes in air flow. It can make the plane shake, shudder and bump. You interpret these motion changes as a warning that the plane has lost control. Even though the seat belt signs are shown to protect passengers from the effects of extreme turbulence, you believe it is a warning that you are in extreme danger. • Fear of Engine noises – Changes in engine noises are generated when ascending and descending. Mechanical changes are also made in-flight to deal with turbulence. Since you are already in a heightened state of alert, you are sensitive to any new sudden sounds. Flight noises cause you to “jump” and frantically look around for reassurance that you are safe. • Fear of adverse weather conditions – You may have experienced a previous incident (outside of flying) in which the weather caused a catastrophe. You are now predisposed to believe that unfavourable weather conditions will disable the plane midflight. You constantly “weather watch”, checking weather reports in an effort to control your emotions. • Fear of a plane crash – You may have survived a trauma or know someone else who’s plane had crashed. This has set up an anticipation of a repeat experience. You battle with media coverage of new plane crashes in attempt to “exorcise” your demons, but they only serve to re-traumatise you. • Fear of heights – Your fear of heights can accompany a fear of falling. Your visual field is distorted (creating vertigo) when you can look down from a high place without any physical protection (barrier). The plane gives you this, but you are still uneasy. An aisle seat is a must to help control your anxiety, but this is not enough to ease your imagination from running wild. Ironically, something keeps tempting you to have a quick look outside. You suffer with claustrophobia and panic when you are unable to leave a situation. Unfortunately, your reflex “solution” – to make a dash for it is withdrawn from you when in a plane. The moment the doors close, you hyperventilate. It’s as if there is no air on board the plane. This leaves you with “unspent” physical tension causing your legs to shake uncontrollably. • Fear of vomiting (emetophobia) or illness – You fear being sick yourself or have a fear of people around you vomiting. This is made worse being in a confined space and having limited opportunity to leave the situation. Fear of being ill whilst abroad (or your fellow travellers being ill) can be a separate fear or one associated a fear of vomiting. Once the plane takes off, it symbolises that you are far away from your home comforts to treat your illness or your family to help take care of you. – A fear that you may not get to the toilet in time (bowel or bladder problems). – When you get to the toilet you are unable to ‘go’ (IBS constipation or bladder shy) for fear of people listening. This means other passengers would have to wait a long time. – Because of IBS diarrhoea you fear that you may “mess up” the toilet and would be overwhelmed with embarrassment. The noise and smell can compound your embarrassment in some situations. – Or that you have an OCD-related hygiene issue and are unable to use public toilets for fear of contamination. During your flight, it is common procedure that you remain seated during take-off/landing; using the toilet is prohibited in case of turbulence. There are also limited confined toilets on-board the plane and you may have to queue to use the toilet during busy times. Not being free to go to the toilet when you want causes you anxiety and makes your symptoms worse. • Fear of losing control – In the past, you may have been called a “control freak!” In the way you define “control”, being in a situation where you cannot ‘command’ your surroundings creates anxiety for you. Showing anxiety to your fellow passengers would be embarrassing. You perceive a display of anxiety to be “losing control”. • Fear of trusting people – You are required to place trust in the flight crew to ensure your journey is in safe hands, but you struggle to have faith in people that you cannot see. Instead, you disregard their expertise until you have interacted with them in some way. You remain anxious until you have made this connection. • Fear of fear – You struggle to deal with anticipatory anxiety. Any event that has a series of scheduled events (good or bad), creates anxiety for you. Your anxiety then immobilises you, preventing you from constructively taking active steps to reduce your worry. You procrastinate and “hide” because thinking about the flight/trip causes you some discomfort. You resort to any “unhelpful” distractions until the “last hour” and then panic on the day. You seek quick-fixes and lean heavily on your support network. This adds to their frustration because they have offered their help weeks ago; you just weren’t ready to hear/accept it from them. Each layer of fear triggers another layer of fear, and it just keeps going round and round. • Fear of panic attacks – You are unable to identify the cause of your panic attacks. When they surface, they inflict “terror” in you. You believe panic attacks to be a sign that something far worse is going to happen to you. You feel like you are constantly on “stand-by”. • You have social anxiety – Being amongst strangers generates a moderate amount of anxiety. Your condition means that you fear doing anything that draws attention to yourself or that might cause you embarrassment. You choose an aisle seat because asking someone to move (should you want to say go to the toilet) requires courage. So you may just wait until the passenger next to you leaves their seat or you wait until the journey has ended to go to the toilet. • Fear of falling over – You are unsteady on your feet. Although your feet are on “solid ground”, the motion and thought of being up in the air create vertigo. Your anxiety exacerbates your symptoms, so you may stay pinned to your seat to reduce the fear that you will fall over and hurt yourself. • Fear of falling – Your fear of falling is connected to a fear of heights. In a plane your fear is not as intense as being next to a high cliff edge without a barrier. But being up in the air in any vehicle is enough to cause you moderate anxiety. This is because you believe that something could damage the plane and you will be ejected from your seat into the air at altitude. You wear your seat belt tight throughout your journey. • Fear of flying over water – You believe that when the plane flies over water, you are a few hours away from emergency services. If the plane runs into any trouble, then it will be required to ditch onto the sea. You may be a non-swimmer and you have visions of struggling in cold stormy seas. • Fear of flying at night – You book “day” flights where possible. Without being able to “see” your danger, you remain apprehensive throughout your flight. You constantly seek reassurance from the flight staff. Looking out of the window when you are flying over the sea at night is pointless and creates more worry. • Fear of hijacking – The prospect of the plane being hijacked is very remote with stringent security procedures in place. But the media presentation of a previous hijacking and the horrific accounts from any hostages can traumatise the public into believing that there could be loopholes in the security. You see your fellow passengers as potential threats. • Fear of bombing – As with a fear of hijacking, this is another fear in which you believe the security checks will somehow overlook. You sit through the whole journey petrified that you are sitting above the ill-fated cargo. You believe your fellow passengers may have an exploding device. • Fear of attack – Since the 9/11 terrorist attacks, renewed insecurity about the extent to which terrorists will inflict their might has become more uncertain. You travel in fear of a surprise attack from an unknown source. • Fear of security checks – Even though you have nothing to “hide”, you find the security checks intrusive because you fear attention. The “baggage” you carry in your mind triggers a past feeling of guilt that surfaces during tense procedures like going through customs. You are waiting to be accused of something, even though you have done nothing wrong. • Fear of boredom – You have an obsession to keep busy because when you are bored, you worry. Nobody wants a delayed flight, but “hanging around” brings out your obsessive-compulsive tendencies. The fear of being idle is a threat to your equilibrium on those long haul flights. You prefer to stick with what you already know. With a new experience, your mind can fill the void with what you “have known” in the past even if it is negative. So for the new fliers with a tendency to feel anxious, a potential “exciting curiosity” is filled with dread. Even for the seasoned flier, a new destination or new work obligation can build adrenaline through the flight. Over time a fear of flying is attached to going to a strange place, meeting new people or dealing with a new situation. • Fear that you are leaving your family – You have suffered a previous bereavement when you or the deceased was away from home. The physical distance meant that you struggled to bring closure to your grief. When you or a member of the family travels, the fear of a repeat scenario is created. The plane taking-off symbolises that you may not see them again. • Fear of death – You associate dying with your internal anxiety symptoms. When your heart races, you think you are having a heart attack. So any external situation that causes you anxiety (like flying) soon becomes inextricably linked to your fear of death. Or you fear a painful death and desperately try to control how you may die. You imagine that a plane crash will involve extensive suffering before your demise. As you can see, the list of potential causes of a fear of flying (both direct and indirect) is quite extensive. When you can identify what lies behind your fear of flying, you can then seek more effective ways to cope with and treat your primary issues. Fear of flying Cardiff: Do you have a fear of flying? • Planning your journey and keeping to the schedule on the day of the flight – Have you packed everything you need…Will you arrive on time for your flight etc? • Planning your forward trip – Whether it’s a business or leisure trip, do you know where you are going…Have you prepared for the business meeting ahead etc? • Ensuring everything you leave behind is secure and being managed – In work, have you delegated any ongoing projects…Will someone at home deal with any family arrangements etc? You can expect some disruption to your life dealing with the above. But a fear of flying is far more severe than this. So what qualifies as a fear of flying? Firstly, rather than viewing the typical events listed above as a series of manageable small tasks, they all become overwhelming. In addition to this, you have significant levels of anticipatory anxiety that disrupts your lifestyle weeks before your flight. • Sleep patterns are disrupted – You struggle to get to sleep and find that you wake frequently thinking about some aspect of the flight. The cumulative effect of this is tiredness and loss of concentration. You then oversleep and feel tired through the day. • Your mind is pre-occupied – You obsess over your fear, worrying about what could go wrong on the day of the flight. • Your attention is affected – Your mind is “detached”, daydreaming about your fears. Your concentration is distracted by the anxiety of your flight. • Ritualistic habits increase – Any “comforting” habits become more compulsive. Drinking, smoking, nail-biting, hair-twirling etc. whatever habits you have to ease your anxiety increases in frequency and duration. • You seek avoidance strategies – If it’s time to book the flights, you try to delay the booking because your “diary looks very busy” around the time of the flight. • Anxiety symptoms get worse – Your anxiety symptoms (see below) escalate the closer you get to your flight date. There are numerous other stress and anxiety symptoms. These listed represent some of the more common ones. • Medication – Your doctor can prescribe medication to help with your anxiety symptoms. 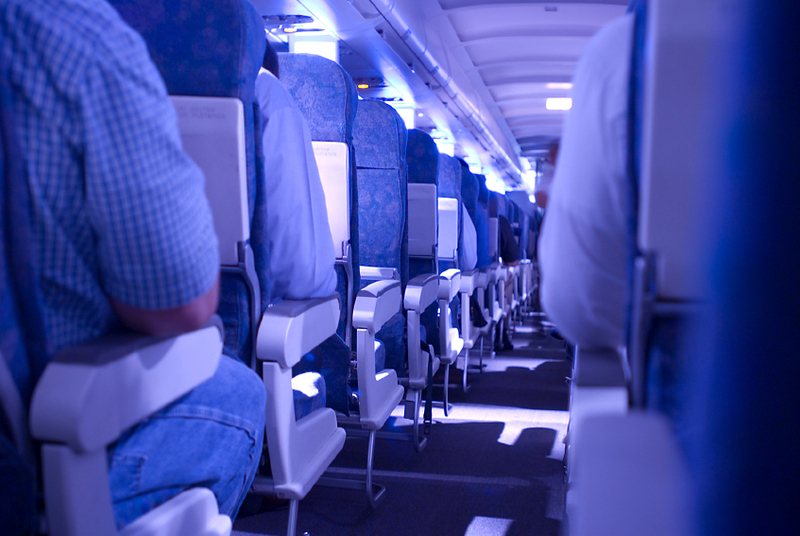 They are likely to vary according to the severity of your anxiety and the duration of your flight. There may be some side effects. • Counselling/CBT – These approaches seek to change your negative thoughts and behaviour into more positive ones. Some courses of treatment can be extensive. • Self-help – Reading books and website articles or simply facing your fears can help you to get through challenging situations. Your own subjective beliefs can prejudice your learning however. In addition to this, further negative experiences can reinforce your fear of flying. • Flying courses – These include a group talk followed by an actual flight. If you are the type of person who believes that “when I have done it once, then I’m cured”, then this approach could be helpful to you. The group situation may not get to the heart of any personal issues that you have. If anxious people around you tend to trigger your anxiety then you could be more vulnerable in a group situation like this. How can hypnotherapy treat you Fear of flying in Cardiff? • Control your anxiety – Controlling your anxiety is an essential part of managing your fear of flying. When you are in an anxious state, your perceptions are distorted. You are more likely to interpret events as anxious one. If you suffer anticipatory anxiety then this can affect you days or weeks before your actual flight. Anticipatory anxiety heightens your anxious expectations, taking you to the emotional experience that you are trying to avoid. Self-hypnosis techniques will also help reduce your anxiety symptoms (see above) before and during your flight. 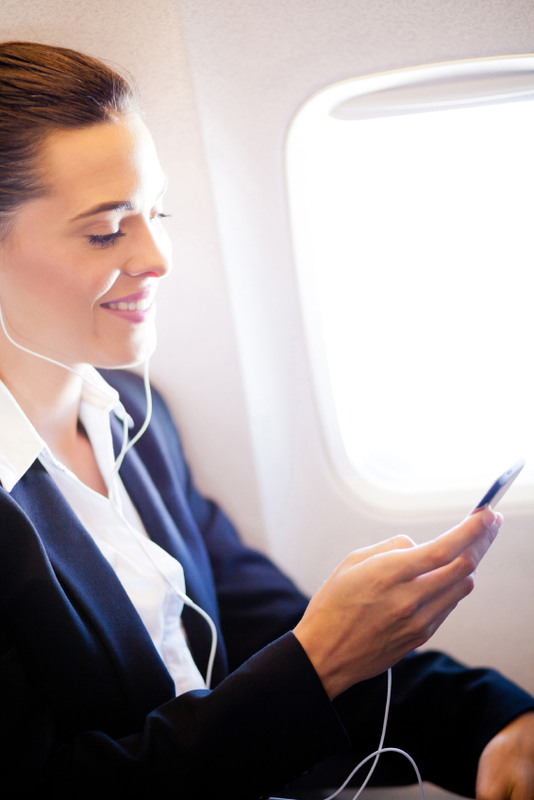 Self-hypnosis techniques are far more effective than simple distraction methods, because you are actively dealing with the issue that is central to your fear of flying: the ability to relax during your flight. • Reframe your past traumas – Unresolved past traumas are stored in your mind to warn you against experiencing yet another trauma. So when your strongest anxious symptom is triggered e.g. by turbulence, anxiety surges up into your consciousness and adrenaline floods your body. The anxious emotion acts like a magnet, pulling your attention into it rather than being able to deal with the situation at hand. Hypnotherapy can help you reframe your past traumas, safely releasing the emotion from the negative event. You can then freely and resourcefully create the emotional experience that you want during your flight. • Release your panic response – Extreme fears and phobias have something in common; there is a panic response associated with the object or situation. When your anxiety trigger has been identified, hypnotherapy can help you dissociate your panic attack from this stimulus. Turbulence becomes just “another event” rather than a cause for your anxiety symptoms. A new relaxation response can then be learned and developed. For the majority of the population, flying is a natural way of travelling to your destination. It is common method of travel when going on holiday or as part of work obligations. It can be a natural part of your lifestyle too. Choose Hypnotherapy Cardiff to treat your fear of flying and get ready to book your next flight. Flying to your next destination is just a few steps away!